Description: A very rare and fantastic German built grand piano. 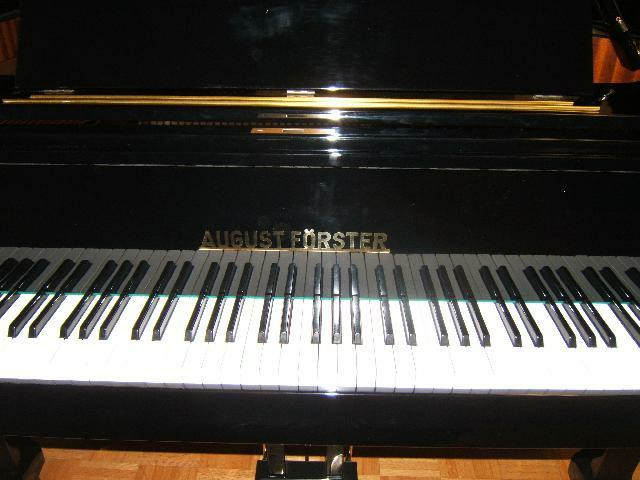 Larry Fine rates August Forster as one of the greatest piano makers in the world. Restrung and reconditioned , this semi concert grand has a powerful bass and clear distinct tone. Comes with adjustable concert bench.